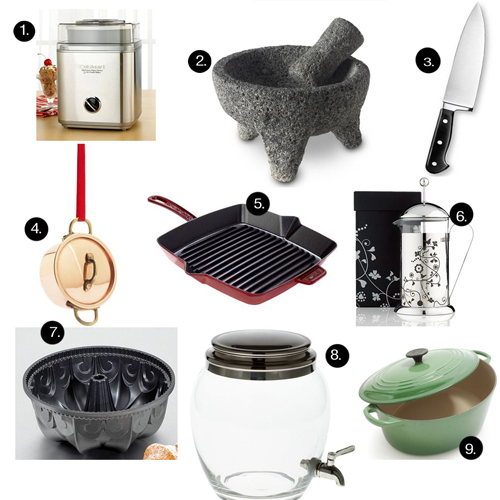 This is my culinary wish list for 2011. So far this year I’ve gotten myself a Cuisinart 7 cup Food Processor and a few serving pieces. But I want more! I do believe some of these will make my life easier, like the Wusthof Chef Knife and some are just purely wants, like the the Cuisinart Ice Cream Maker. What’s on your wishlist this year?